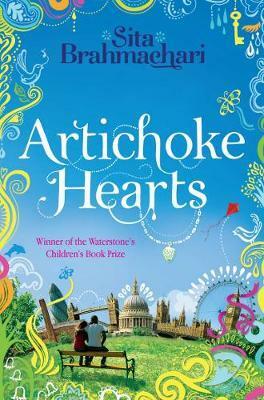 Artichoke hearts is a book to make you cry. With laughter as well as sadness. It is Sita’s first book and it is brilliant. Mira is entering her teens and is dealing with the usual growing up problems, boys, best mates and periods. There is also a bit of bullying chucked in. She is dealing with so many changes but on top of that her beloved nana Josie is dying. Nana Josie is a great character. She is strong, wise, funny and fiesty. Mira and her are really close although sometimes she is a little outspoken for the quiet Mira. She’s an artist with a wide group of friends who used to go on political demonstrations. Josie has a love of nature which she has passed on to her granddaughter. Mira’s family life is chaotic. Mum and dad are always busy, little brother Krish is a pain and there is baby Laila to add to the mix. There are bullies at school but she does have her best friend Millie. So why has she started to keep secrets from her? She’s discovering boys and is somehow drawn to Jide, a boy who has secrets of his own. This is a beautiful story. It feels very true to life and except for the fact that it is set in London it could be a family we know. The pace and mood of the characters change so much through the book as they come to terms with more than the fact that Nana Josie is dying. It is an emotional roller coaster ride but a pleasurable one as we get to know Mira better. The book has just won Waterstones Books childrens fiction award which I think it highly deserves. It’s going on my list of best of 2011. Find a comfortable spot and curl up with this wonderful book and get to know the Levenson family, especially Mira. All around Canterbury, hundreds of children are signing up with sports clubs ready for the winter. If you belong to a club it is time to get organised. If your game of choice is soccer, you’ll need to get your skates on. My daughter’s club Nomads has its last registration day this weekend. Here is the information for Hockey. Rugby and Rugby League are no doubt getting ready for the new season. Netball will be full swing ahead as well. If you haven’t played before contact a club near you. All sports clubs are looking for new players. I hope these links will be helpful in getting you out playing sport. If I haven’t covered the sport you would like to play you can look up our community database to get club details. Get out there, keep fit and most importantly have fun! It was something you don’t see very often. A goalkeeper scoring a goal. That’s what happened on Sunday night when the Wellington Phoenix (or Nixs as they are commonly known ) scored their third goal. Chris Greenacre and Dylan Macallister put the Nix 2 up in the first half with the North Queensland Fury (Fury) getting one back through Brett Studman mid way through the second half. It’s also time to register for your club again. Check your clubs website to see what dates registration is being held. While you’re waiting for the season to start, why not check out these cool books about football. Alan Gibbons Total Football, a series of eight novels about the Rough Diamonds – a close team with a captain Kev McGovern who makes sure they work and play hard. They live in a rough area of Liverpool but always try to keep an eye on their mates. Helena Pielichatys Girls FC has 12 titles in the series each book focusing on an individual member of the Parrs under 11s, commonly known as the Parsnips. As well as lots of football the stories have the usual friendship and family themes common in sports books. I think there is nothing better than going past a sports ground and seeing it full of Kiwi kids keeping fit and having lots of fun. Do you play touch or do you play a different summer sport? Let me know. This Sunday is Waitangi Day, so no day off school this year for those of you who start back this week. If you need information for school project the library has a lot of information on its website. There are also a number of activities on to celebrate. I spent the day out at Okains Bay two years ago and it is a great day out. How does your family celebrate Waitangi Day? Take two cousins Danny and Nick, eco tourists Brio and Roost, Harriet the Parriet, Albatross and Penguins colonies and what do you have? 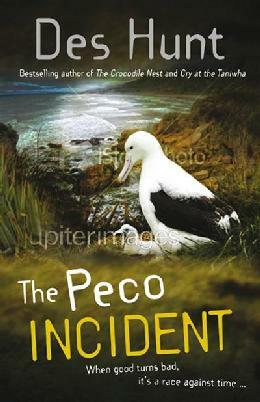 The latest page turner by Des Hunt – The Peco Incident. Danny lives on the Otago Peninsula and is dreading his cousin Nick coming to stay. He’s ok if he takes his Ritalin but guess what he forgot to pack. The boys become involved with an outbreak of bird flu which threatens the birds of Taiaroa Head. Did the outbreak come from the Peco chicken farm or are Brio and Roost more sinister than they seem? Des has written a great read. As you’re reading you can imagine the wild rugged landscape of the Peninsula. The relationship between the boys allows for some wonderful humour throughout the book. There is also plenty of adventure as it becomes a race against time among the cliff tops of Taiaroa Heads to save the rare birds. It was a good suggestion. That was the thing about Nick. He could be real dumb at times, but he was actually quite intelligent. The problem was recognizing the clever bits in amongst all the rubbish. Linda Sue Park has weaved two stories into one in this great book. Nya has to walk for two hours each way to get water for her family. She does this twice a day every day. Eight hours a day! Salva is also walking. Away from his war torn homeland. His journey across Africa from his homeland Sudan to Ethiopia and Kenya is a journey that will take many years. Along the way he encounters many dangers. This book is a novel but it is based on a true story. It is based around the Second Sudanese Civil War which started in 1983. Millions of people were displaced often unable to return to their homes. Among the displaced there were large groups of boys who becam known as the Lost Boys. This is the story of one of those boys.